This volume takes the reader on a personal pilgrimage to the Jerusalem of Christ. It vividly depicts the most holy places of His last days on earth, culminating with the fourteen Stations of the Cross. This carefully researched, scholarly presentation brings the story of the Passion into vivid focus. For centuries, the Stations of the Cross have been a rich subject for scholars and a beloved cornerstone for the faithful. 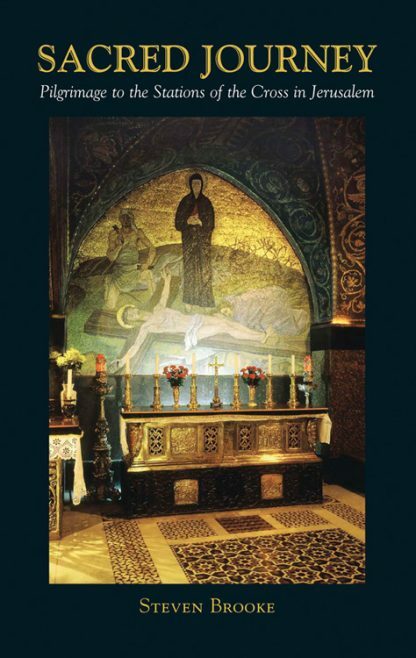 The stunning photographs in Sacred Journey present the ancient and timeless Old City of Jerusalem, and the sites of the fourteen Stations of the Cross with scholarly accuracy and artistic sensitivity. The evocative images of the streets, shrines, and chapels are accompanied by descriptive text providing insight into their history and the history of Christian pilgrimage. Let Sacred Journey take you on your own spiritual pilgrimage along this most holy path.